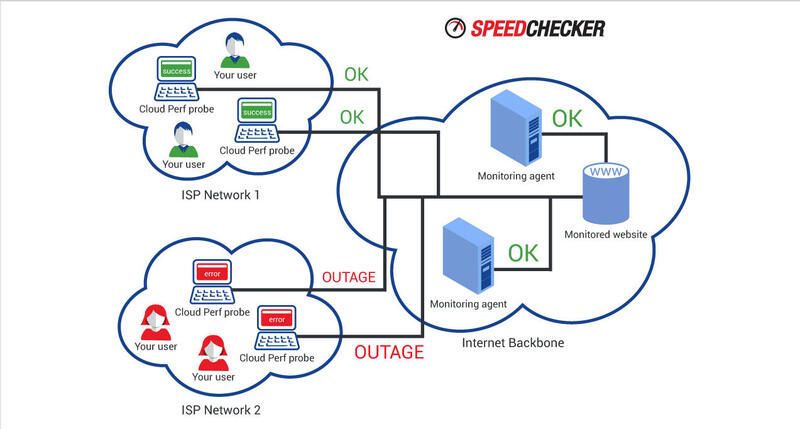 CloudPerf | Cloud and CDN performance monitoring | Speedchecker Ltd.
Speedchecker CloudPerf proactively simulates real user behaviour 24/7 using our fleet of 100 000 probes in 170+ countries. Every online business should already be using a selection of network monitoring tools which monitor uptime and performance. Traditional synthetic monitoring tools rely on testing your endpoints from agents run in the data centres. 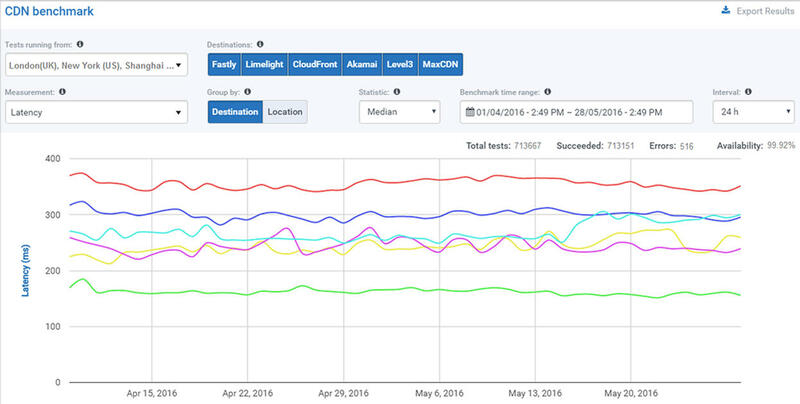 Only CloudPerf, which runs on our global network of real user devices, gives full end-to-end visibility into performance issues. Slice and dice data based on location, ISP or performance characteristics. Performance analysis does not stop with just a page load time. You can drill down to individual resources using waterfall charts or export the HAR file to your favourite analyser tool. Monitoring full page load is invaluable to test 3rd party dependencies and their impact on your performance in different locations. 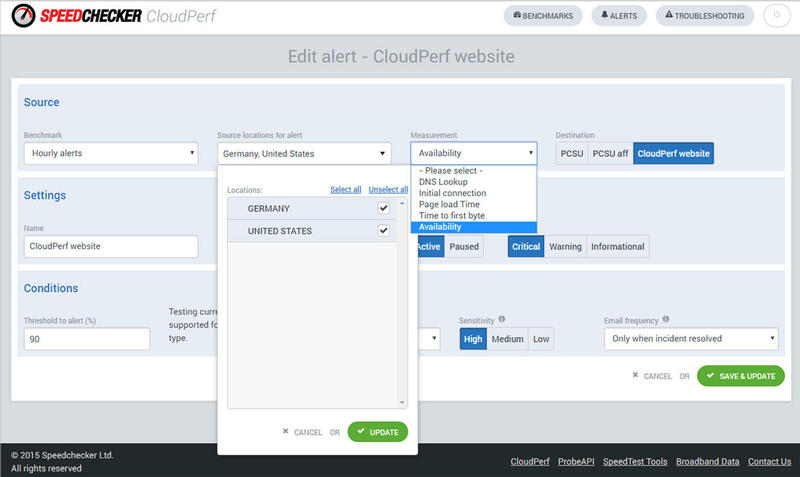 Every destination that is monitored by CloudPerf can have multiple alerts with different uptime and performance thresholds. Once those thresholds are breached CloudPerf will alert your contacts for further escalation. CloudPerf is a synthetic monitoring solution which relies on a network of agents and does not require any installation or integration. 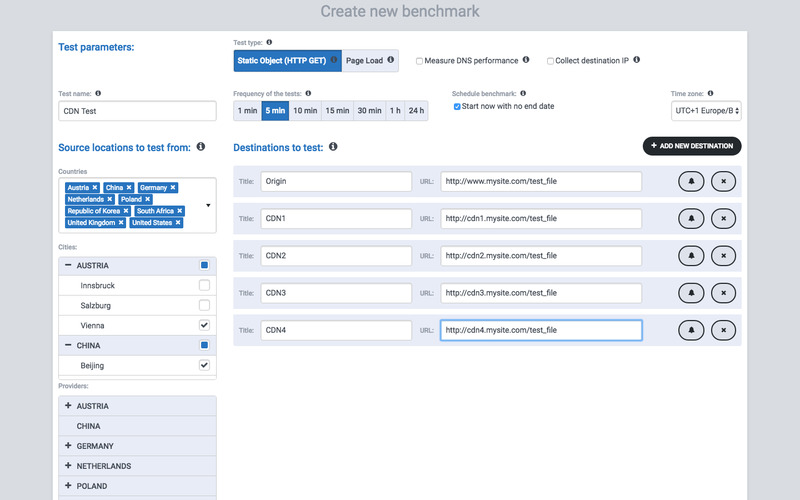 All tests can be set up from the CloudPerf interface running tests to multiple destinations within your own infrastructure as well as 3rd parties for benchmarking purposes. CloudPerf includes our unique CDN tester which allows customers to automatically provision websites on most of the commercial CDNs and runs performance evaluations, all without the need to deal with any CDN provider directly or to do any website changes.